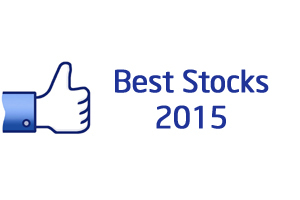 Best Stocks 2015 – 2014 was best year for stock market. Sensex gave magnificent return 33% in 2014. Positive economical condition and political stability was prime factor behind Bull Run of stock market. Stock analysts are predicting that stock market Bull Run is likely to continue in 2015. In order to take advantage of this Bull Run stock analysts & leading brokerage house is recommending several stocks. Here is Best Stocks recommendation for 2015. These recommendations comprises of several Top Large Cap, Mid Cap & Mid Cap Stocks. Read more details from here. I am quite bullish on equity market for 2015. Formation of new stable government & improvement in economic conditions are good indication for 2015. Structural reforms from new government are likely to begin soon & this will lead to upward movement in stock market. It is advisable to purchase stocks in small chunks on market correction. Looking at current stock market rally, Nifty is likely to hit 9,600 target by December 2015.